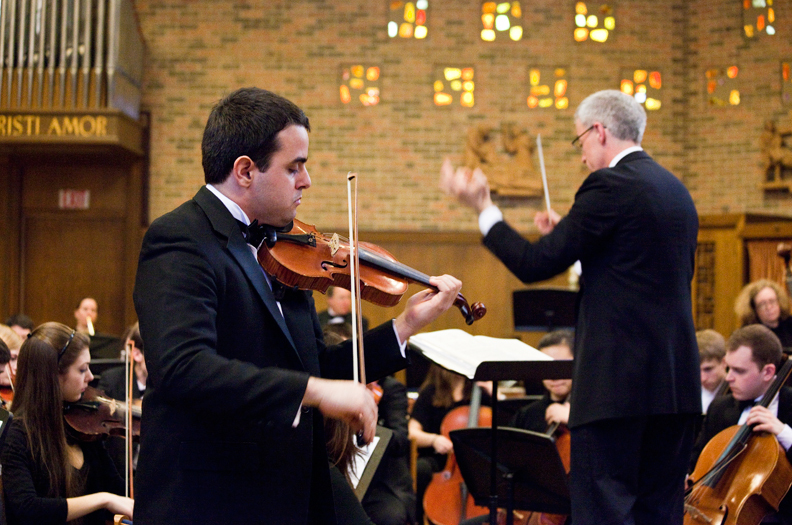 On February 27, Garcia-Bender (foreground) was the featured soloist for the Violin Concerto in D Major, Op. 77, by Johannes Brahms, presented at Trinity Chapel on the Newton Campus with Finney conducting. On April 10, Devon Maloney will perform Pyotr Tchaikovsky’s Rococo Variations for Cello and Orchestra, Op. 33, also at Trinity Chapel. This feature was posted on Tuesday, March 8, 2011 and is filed under Featured Photo.